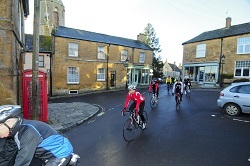 Crossing the historic counties of Lancaster and Yorkshire, this ride is sure to inspire you. Riding through villages and towns once walked by the Tudor Kings, cresting the hills of the Yorkshire dales and enjoying the seaside delights of both East and West Coast, makes this a really rewarding challenge. Arriving at our accommodation in Morecambe on Thursday evening, we will have an evening meal, event briefing and an early night. Departing from the Western Coast Town of Morecambe, we take the cycle route 69 Eastwards towards the picturesque village of Kettlewell. Our Second Days Ride will have us heading towards the Historic City of York, and our Overnight Accommodation. Our final days ride will finish in the Eastern Coast Town of Bridlington, and after our celebrations, we will end at the train station where you will be able to make your onward transfers. This Classic UK ride will begin with an evening in Morecambe, sampling the classic seaside town delights, before an evening meal event briefing and an Early night. Following cycle route 69 we head east out of the town towards Pateley Bridge across the picturesque Yorkshire Dales and onto the Nidderdale area of outstanding natural beauty. After our accomodation near Pateley Bridge we will conitinue our ride towards the Historic City of York. We will enjoy a pleasenet meal in the City itself before heading back to our accomodation for a final nights rest. A bright start to begin our final day, we will head through picturesque Yorkshire villages before reaching our final destination of Bridlington on the Eastern Coast. After celebrations we will assist with your onward journey. 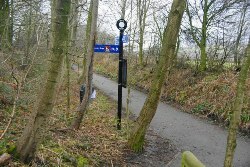 Trains can be taken from Bridlington to the make transfers at York or Scarborough. We will be staying in 2/3* comfortable hotel / bunkhouse accomodation. We shall arrange accommodtion as available in the correct locations. Experienced cycle leader, vehicle with support driver and mechanical backup, first aiders. 3 nights 2/3* hotel accomodation. Breakfasts, lunches, snacks, luggage transfer through event, spare bike. Your leader and support driver will do their very best to keep you safe and well on this trip. But you should listen carefully to their briefings. It is their role to identify to you the safest way to get through this ride, and to keep an eye on you and your wellbeing. Please take seriously any suggestions or comments they may make to you - it is for your wellbeing!. The leader's primary role is to ensure your safety, but it is your responsibility to listen to their guidance and instructions. We can expect rain anytime of the year, it may also be cold especially in the evenings so a fleece and hat is also recommended. Prepare for the Worst hope for the Best! Bring your full cycling wardrobe! Please call if you require a hire bike!